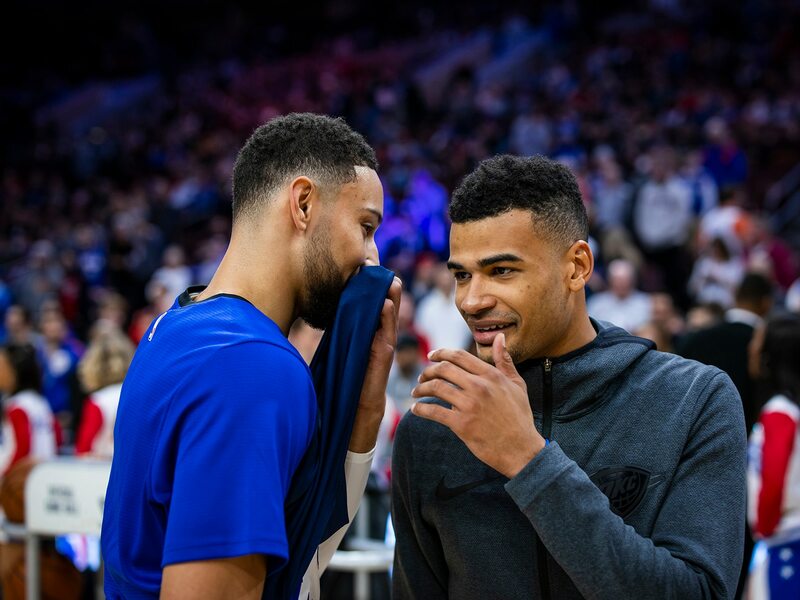 What Should Bulls Fans Expect From Timothe Luwawu-Cabarrot? Being the next Thabo Sefolosha actually isn’t a bad thing. The rangy 6-7 defensive-oriented swingman and former Bull is in his 13th NBA season and started five years for the Oklahoma City Thunder, including in the NBA Finals. Timothe Luwawu-Cabarrot has drawn comparisons to the greatest Swiss basketball player ever. Which isn’t quite enough for him. “I don’t really like this comparison, but I’ll take it,” Luwawu-Cabarrot told reporters Monday in the Advocate Center after his first practice with the Bulls. “He played here. He played in Oklahoma City. So I’m kind of following the same path. He’s a good player. Respect for him. But I don’t really like this comparison. “I don’t really like comparisons,” added the similarly-built 6-6 swingman. “I can say my favorite players are Paul George, who I got to play with for six months. That’s the player I liked to grow up to look up to. And Batum, the French-born 6-7 athletic so called 3-and-D swingman for the Charlotte Hornets, likes what he sees of his younger countryman. So no offense to Thabo, but perhaps the Bulls have come into some good fortune. Other than the cash considerations in the trade last week that resulted in the release of Carmelo Anthony. It was another of those bookkeeping transactions regarding luxury tax savings for the Thunder. The Bulls hope their share included a playing bonus. Luwawu-Cabarrot, who uses the surnames of his mother and father, was a first round draft pick, No. 24, by the 76ers in 2016. He was likened then to the long armed Sefolosha, whom the Bulls acquired, ironically from the 76ers, on draft day in 2006. In his third season with the Bulls, Sefolosha was traded to the Thunder for the draft pick the Bulls used for Taj Gibson. While Sefolosha and Gibson flourished as vital role players for playoff teams, Luwawu-Cabarrot mostly fell through the cracks created by talented rosters matched against his limited experience. He shifted between the G-league and the deep bench as a rookie, but when he got an opportunity late in that season he impressed. In the last seven games of the 2016-17 season, he averaged 18.4 points and shot 32 percent on threes. Though perhaps more importantly for the three-point challenged Bulls, Luwawu-Cabarrot averaged almost seven three-point attempts per game. He’s not shy about shooting. When he got a chance to play last season with the 76ers in January, he shot well, 15 for 27 on threes in a four-game stretch in which he averaged 14.5 points per game. But he rarely played after that with assignments again to the G-League. He was part of the three-team trade last summer in which the 76ers acquired Mike Muscala, the Hawks acquired Carmelo Anthony and a draft pick and Luwawu-Cabarrot went to the Thunder along with Dennis Schroder. But again he rarely played, unable to get much time in a tight rotation. His career scoring average is 5.5 and he was averaging 1.7 points this season in about five minutes per game when he did play. 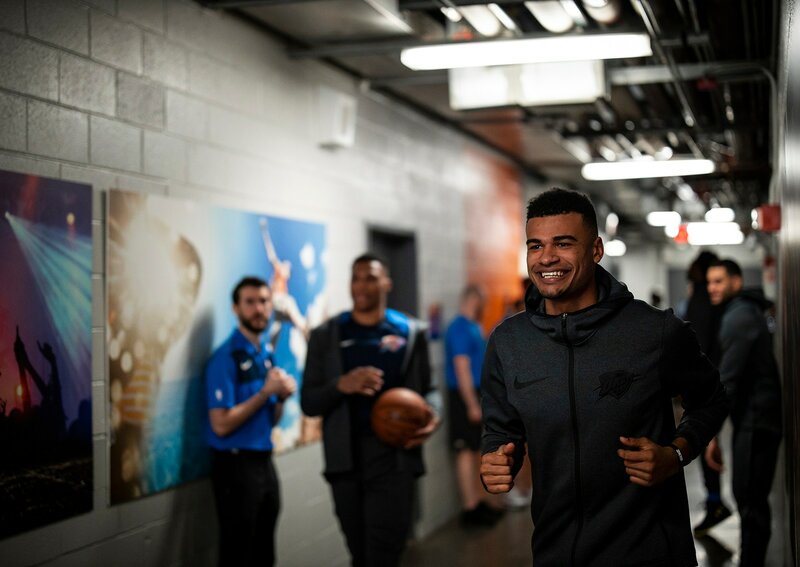 “The team was loaded,” Luwawu-Cabarrot said of the Thunder. “We had a lot of talent on the team and as soon as they needed me I stepped up and I did what I had to do. I didn't really have the opportunity to do more than that because, as they say, there was a lot of talent over there and lot of players, so they really didn't have the opportunity to put me on the court more. Play hard, run the floor, play good defense, make the right choices, make good cuts. Try to make the right decision every time and just be the guy you want on your team. 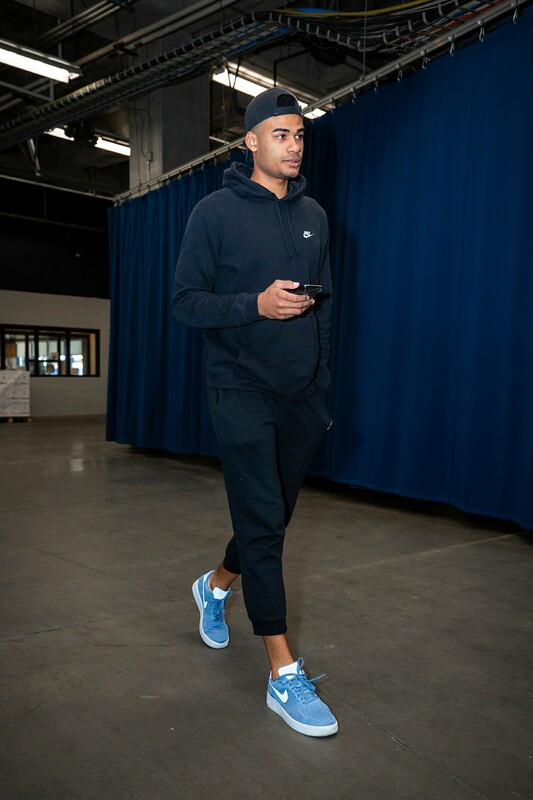 “I was happy, really excited (about the trade)," Luwawu-Cabarrot said. “Just ready to compete and play hard and just bring whatever I bring to the game for this team. Play hard, run the floor, play good defense, make the right choices, make good cuts. Try to make the right decision every time and just be the guy you want on your team. 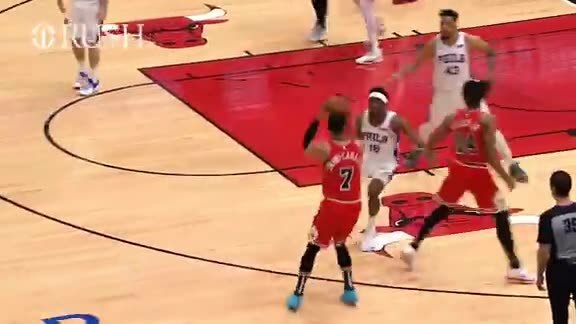 (The Bulls coaches said) we need a guy to play defense and make shots and I think I can be that guy. “Obviously, it's a fresh start, especially when you didn't play for a long time,” Luwawu-Cabarrot said. “It’s a young team. It's a new process for the team, for the organization. So I see that as a rebuild and a fresh start for me and I'm looking forward to play with this team. I'm a basketball player and I love the game. It's been so long since I've seen that court, so I'm hungry. I just can't wait to play and just to play with those guys. It's the Chicago Bulls, so the history is if not the best, it's one of them. There's a lot of respect for this organization and the name of the Bulls is one of the biggest market and team around the world. So it's a lot of respect, no matter what happens the last years. It's a lot of respect for this team. Bulls coach Jim Boylen said both Kris Dunn and Wayne Selden Jr. didn’t practice. Selden has a sore knee and Dunn went to have a pelvic contusion checked. They are listed day to day. Ryan Arcidiacono will start if Dunn is out. Boylen said Zach LaVine went through most of the session despite his ankle problems. Boylen said the Bulls didn’t anticipate a serious problem for Dunn. And so with Chandler Hutchison still out and Jabari Parker returning from a family death, Boylen said Luwawu-Cabarrot will play. So good luck to public address announcer Tommy Edwards as well. “He’s a big wing, all of 6-6,” said Boylen. “He shot the ball well today. He fit in very well. He picked up our stuff quickly. He played like he’d been here awhile, which is a credit to him. I envision him playing. When and how much, I don’t want to commit to that.